The throat chakra is the fifth chakra, it’s located in the throat in the center of the neck and is based on the ether element. The throat chakra is associated with your communication and expression – verbal or non-verbal, your spiritual connection and a good sense of timing. The throat chakra helps us in all of our relationships with the ability give clear direction and express our needs in a healthy way. Balance your chakras in 15 minutes with Chakra Meditation music, each meditation is played in the key specific to the Chakra you are working on. Balance one chakra you would like to work on specifically, or listen to the full album for total chakra balance!. Chakra meditations are music-only tracks. The key to your success is daily self-improvement! 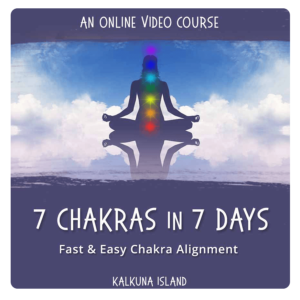 Learn how to find Which Chakra Meditation is Right for You, take the 7 Day Chakra Meditation Course or balance all chakras at once with our 60 minutes 7 chakra meditation.